Price includes 10% off Appliances Offer discounts. While supplies last. The Electrolux 30 in. 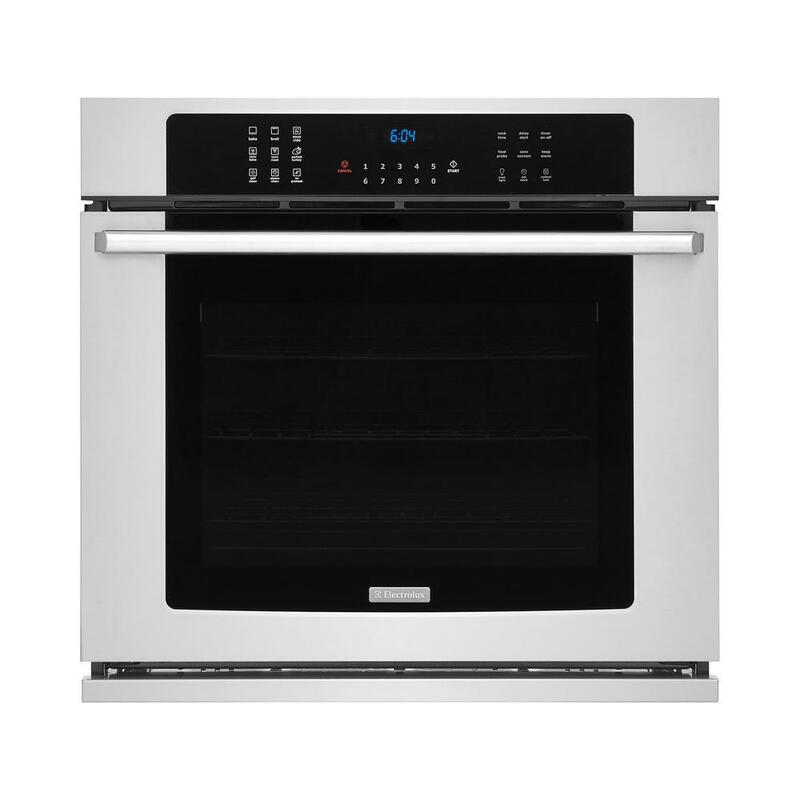 Single Wall Oven with IQ-Touch Controls features Perfect Taste convection for consistently delicious taste and texture. Our Perfect Taste Temp Probe alerts you when food is ready. Fresh Clean Technology virtually eliminates odors during the self-cleaning process. Our flat oven door design is easier to clean, and the large 5.1 cu. ft. capacity provides enough cooking space to coordinate an entire meal. Our ramp-up designer halogen lighting provides full visibility to see in the back of the oven. Three element convection for great tasting roasts and bakery foods. 30 in. 5.1 cu. ft. Single Electric Wall Oven with Air Sous Vide Convection in Stainless Steel is rated 4.5 out of 5 by 19. Rated 4 out of 5 by Jayhawks from So far great I’ve had for one month and so far it’s great. No problems and I’m impressed with all the new tech. It’s been a long time since I’ve had a new oven! Rated 5 out of 5 by TucWash from Easy to Use and Works Well! This oven has wonderfully intuitive controls (even before you read the manual) and works well. Baking is simple - and the convection conversion is awesome! Rated 4 out of 5 by Yoroka from Stress Free Thanksgiving Dinner This Thanksgiving preparing our turkey was made easier using probe and I was pleased with how well it bakes. We’ve only had the oven for about 6 weeks now. I’m still learning about its features. So far so good. 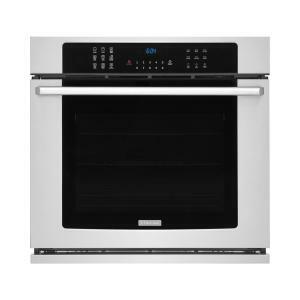 Rated 5 out of 5 by Efish72 from Great Wall oven It came with the house and it has great features and great size for a wall oven. Rated 5 out of 5 by bmw007rt from It looks luxury The Wall Oven was installed by my home builder. Beautiful!!! Rated 3 out of 5 by Heather14 from Nice but noisy Came with our house we had built. Only used it a few times thus far, but we’ve only been in our new house for not even a month. The cons to this oven are that it’s noisy, as if someone put a pencil in a fan kind of noise, and it takes forever to heat up. Other than those two really annoying things, it works. Rated 4 out of 5 by Sue5201 from So far so good Just using it for about 3 weeks now and I really like it. Wish it had the racks that you can leave in oven when cleaning it. When I ordered it, I thought it did. My mistake.